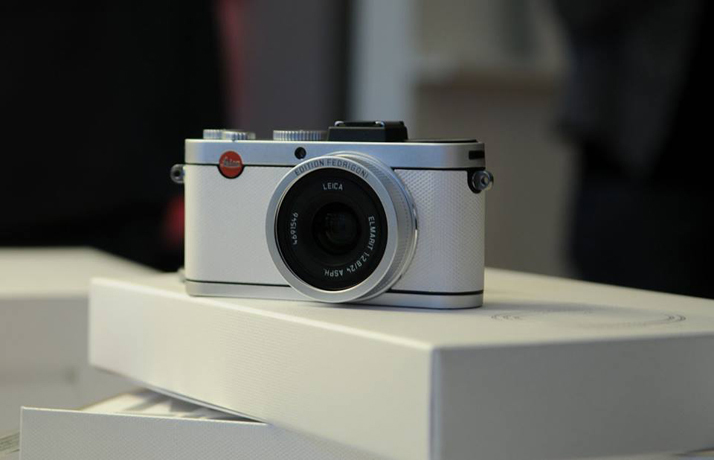 Leica X2 special edition with an amazing Constellation Jade paper skin by Fedrigoni. 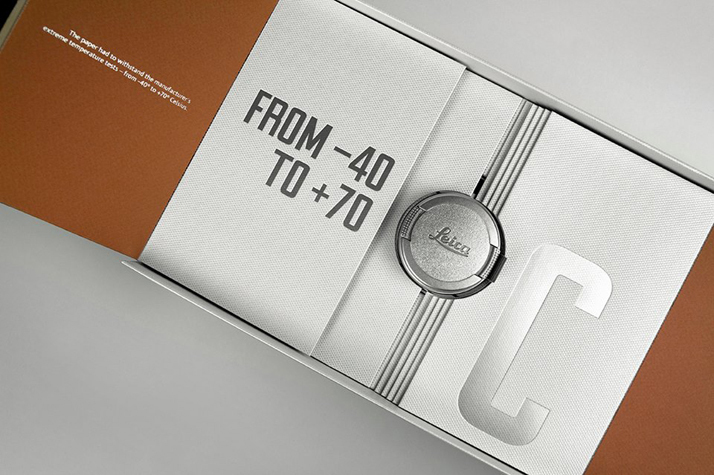 A piece of tailor made paper merges an extraordinary packaging concept and an exceptional product into one. 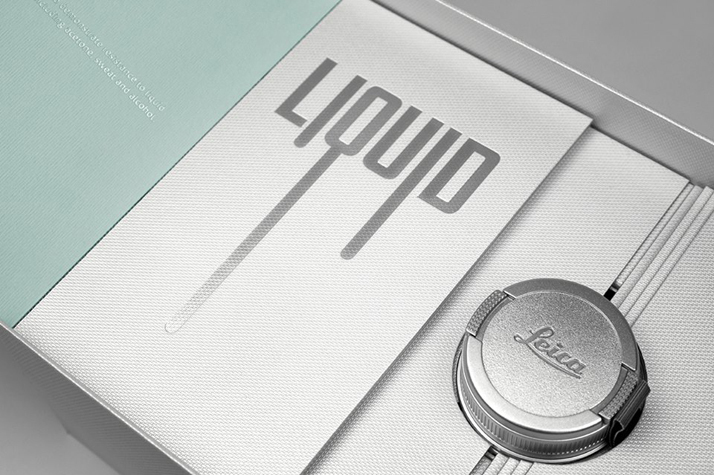 Sold in Fedrigoni showrooms only, the limited Edition of Leica Cameras is wrapped so intimately by fine paper, the “unboxing” turns into a Fedrigoni brand experience. Finally, the paper also replaces the cameras traditional leather banderole and becomes an integral part of it and not just its packaging. 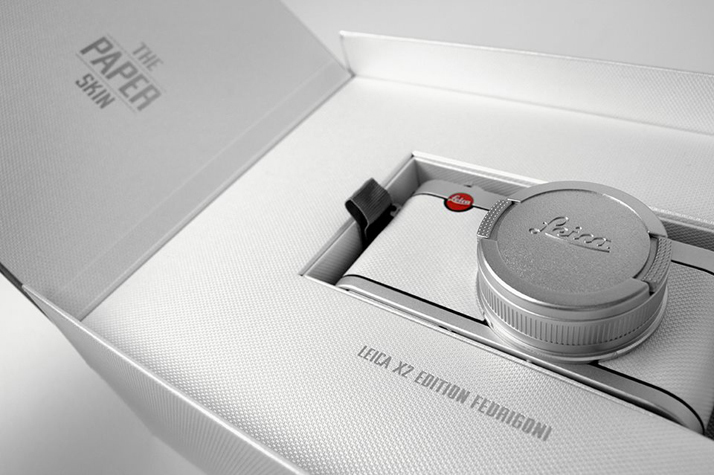 The Leica X2 Edition "Fedrigoni" has been produced as a limited series of 25 cameras. 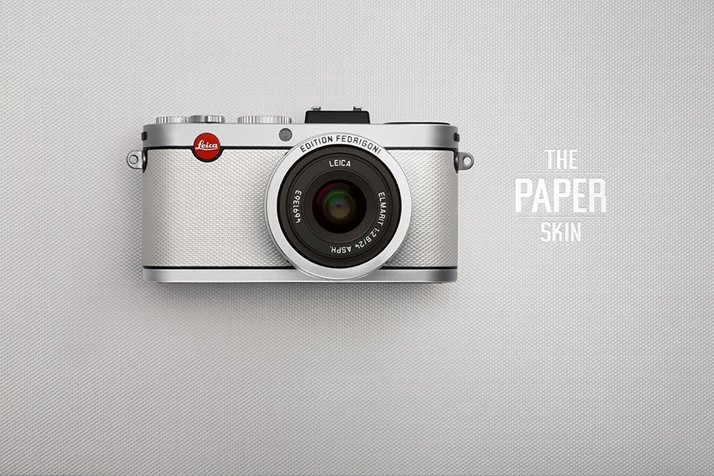 It is the first Leica camera clad in a "paper skin" and wrapped in 15 quality designer papers. 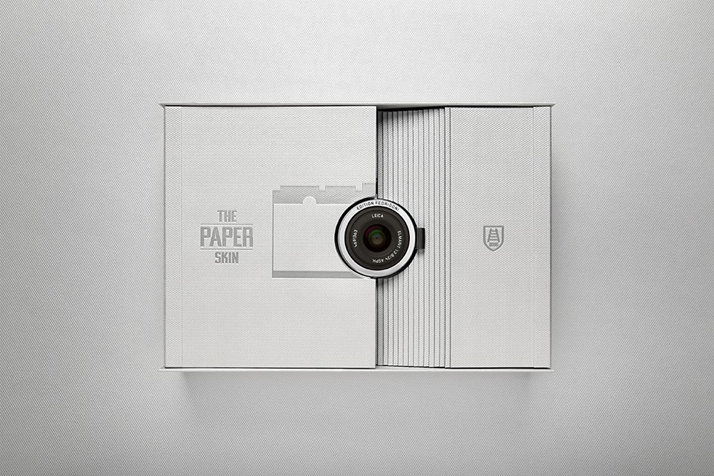 The shimmering, pearlescent Fedrigoni paper "Constellation Jade" replaces the traditional leather trim of the camera and becomes a part of the product. 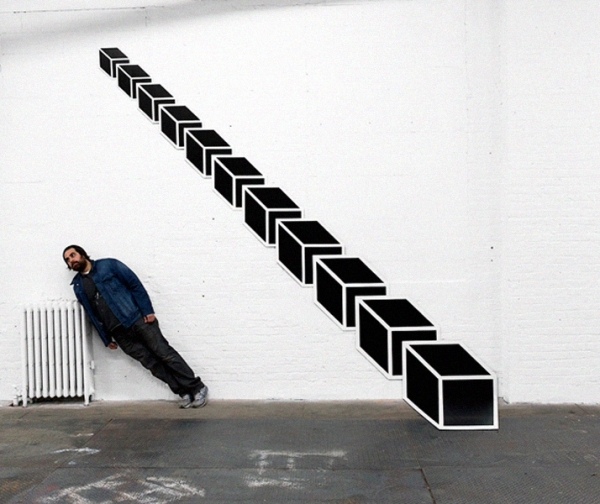 This means the paper had to satisfy the incredibly high quality demands that Leica Camera places on its materials: In a 16-stage test process, "Constellation Jade" successfully withstood a barrage of tests, including rapid and slow temperature changes from −40 to +70 °C, exposure to acetone and 400 wear intervals. 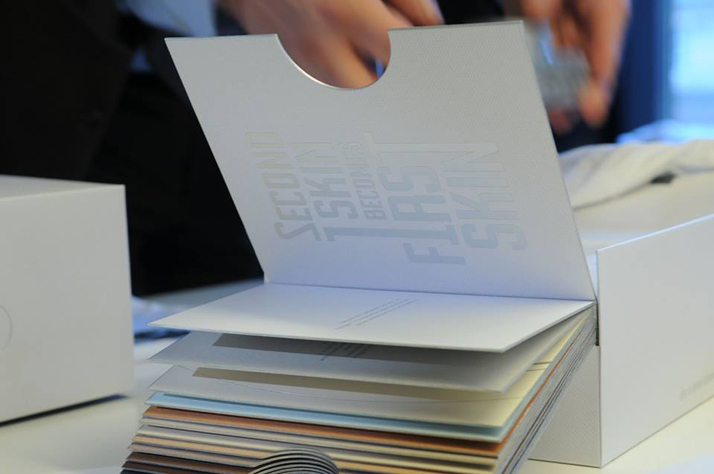 The paper achieved outstanding test results for wear and acetone resistance, and is every bit equal in this respect to even the best leather varieties: "The FEDRIGONI paper we used is tailor made for the camera and not only satisfies our high aesthetic demands, but also our uncompromising demands on quality," says Björn Dietzler, Product Manager for Leica Manufacturing, Leica Camera AG. 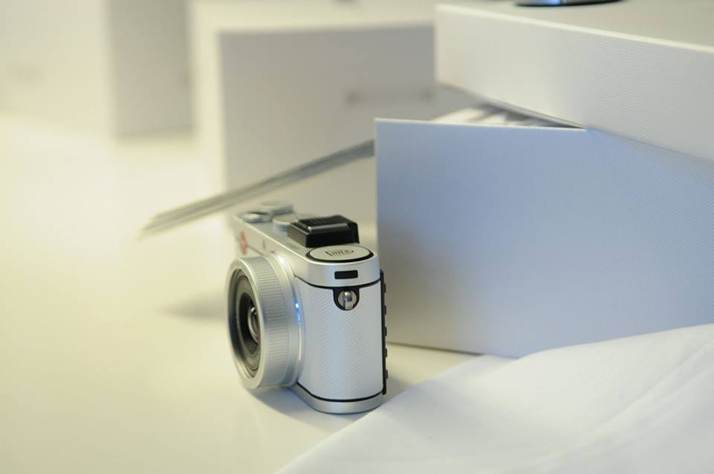 The elaborately produced and refined packaging is reminiscent of a paper sample book, making unpacking the camera a unique brand experience. 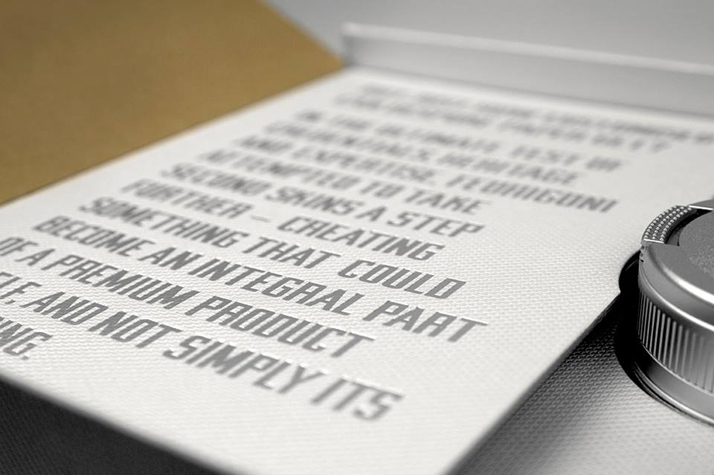 The standards and pioneering spirit of Fedrigoni's 125-year history of typography and graphic design are brought to life on 16 layers of finest paper. Strict attention is paid to sustainability: Exclusively paper is used – no plastic film is used at all, even for the accessories. 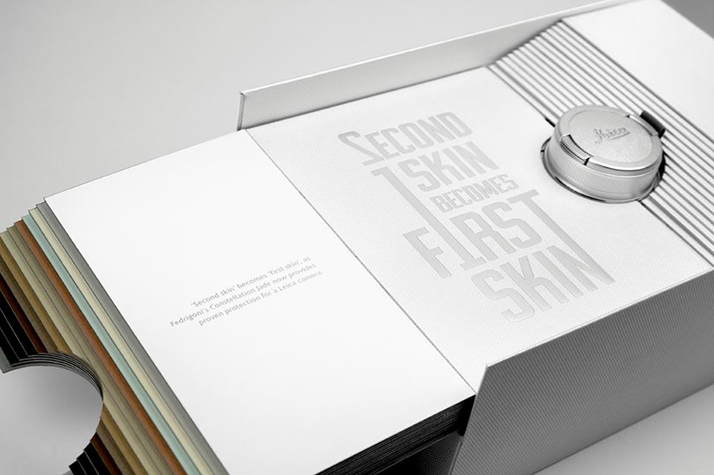 "With THE PAPER SKIN, we wish to inspire exceptional creativity in our customers, packaging designers and manufacturers, as well as luxury brands. 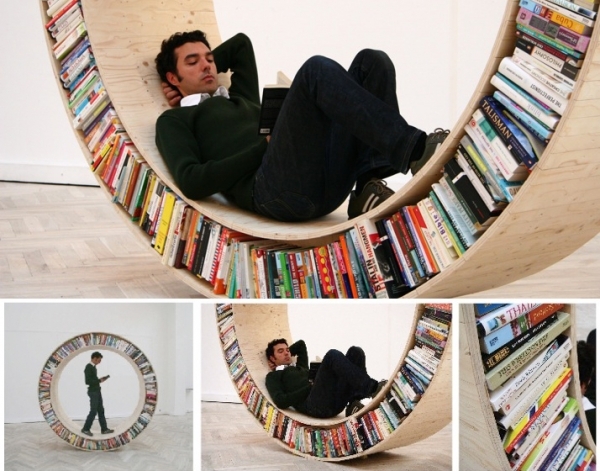 We love every new discussion about tailored papers. 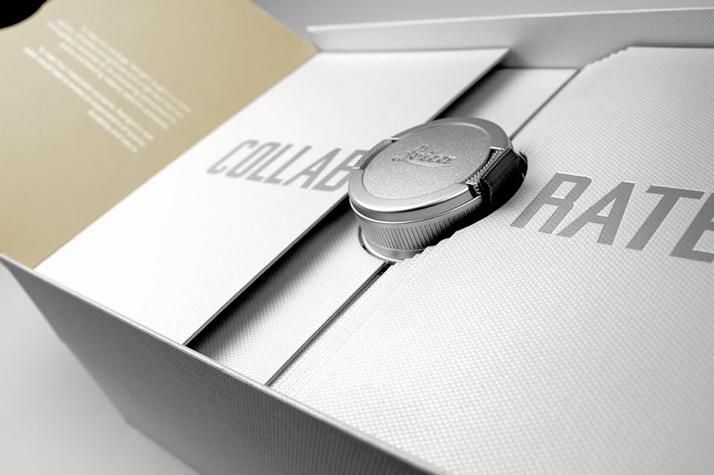 As an industrial enterprise, we offer our customers great technological expertise, extensive options for individualization and exceptional flexibility," Marcus Lange, Director of Fedrigoni Deutschland GmbH, expresses.